Amazon advertising is trusted less than some of the other platforms like Google and Facebook based on the surveyed 1,500 marketers running active advertising campaigns -- but most say they plan to spend more on the platform. Of the marketers participating in the survey, 62.80% said they plan to increase the amount spend on Amazon advertising, according to Singular, which ran a survey between November 2018 and January 2019, to examine how these marketers scale mobile campaigns. About 32% of marketers participating in the survey said they will keep their Amazon budgets the same, with 3.47% acknowledging they will shrink the amount spent. 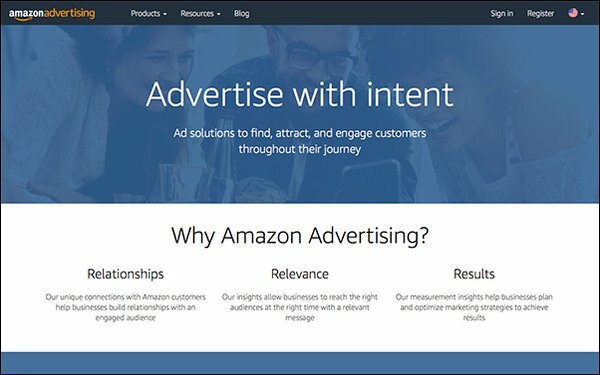 John Koetsier, vice president of insights at Singular, believes Amazon advertising is the least trusted because it’s the newest to the space. It probably won't take long to earn the trust, he said. "ROI proves everything," he said. But Amazon now has another rival to fend off -- Walmart. The world’s largest retailer wants to bring its advertising business in-house. It places ads online for products that it sells from Unilever, Kellogg Co. and other brands, and it can place ads inside its 4,600 U.S. stores. The digital business enables Walmart to target ads to consumers based on shopper data. When it comes to the most trusted ad company, Google tops the list with 84.47%, followed by Facebook at 71.93%, Apple Search ads at 41.07%, and Amazon Advertising at 54.80%, according to Singular, which ran a survey between November 2018 and January 2019, of how these marketers scale mobile campaigns. The increase is higher, compared with Google and Facebook, but a majority of those digital marketers still plan to increase the amount spent on the other platforms, too. When asked how digital marketers will change the amount spent on Facebook, 5.07% said they would increase budgets, 34.93% said budgets will remain the same, and 10% said they will spend less. Marketers also expect to stir the pot on Google. About 61.13% said they would increase the amount spent with Google, while 32.67% said the investments will remain the same, and 6.20% said they will spend less. 2 comments about "Amazon Advertising Trusted Less Than Some Platforms, Survey Finds". Joel Rubinson from Rubinson Partners, Inc., February 28, 2019 at 10:51 a.m.
wow, least trusted??!! I can accept least well measured because it is new, but trusted? It's in a shopping environment where features, prices, and user reviews are immediately accessible. Crazy stat must be the fault of the bad research done. Amazon ad revenues will continue to outpace even Google and Facebook as they get closer to them and create a big three. Laurie Sullivan from lauriesullivan, February 28, 2019 at 11 a.m. The Amazon platform is trusted less than Google and Facebook. I know, kind of difficult to believe after all the recent news, but I'm sure "trusted" can be looked at several different ways. How much do you trust something, given a scale from one to 10? Trust that the platform will produce the ROI? Trust that the ads won't contain ad fraud? Do you automatically stop using a platform because you don't completely trust it?